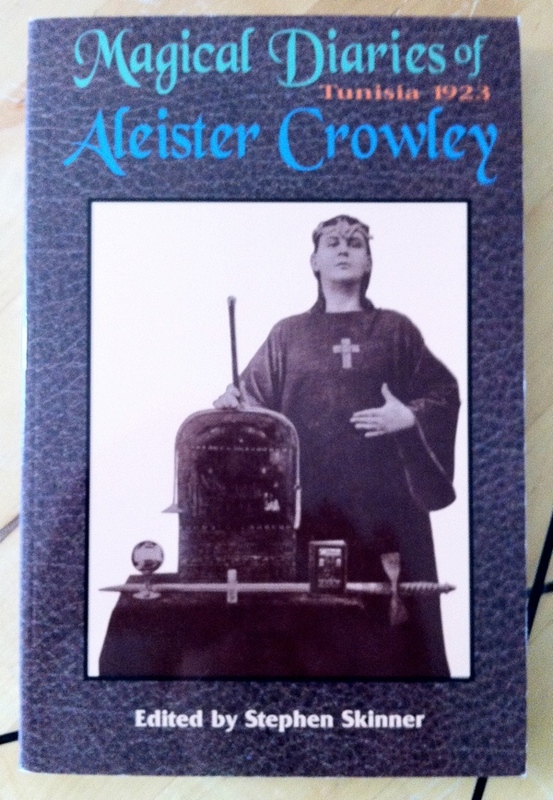 The Magical Diaries of Aleister Crowley: Tunisia 1923 edited, with additional material, by Stephen Skinner, the 1996 paperback from Weiser Books, is part of the collection at the Reading Room. The Hermetic Library Reading Room is an imaginary and speculative future reification of the library in the physical world, a place to experience a cabinet of curiosities offering a confabulation of curation, context and community that engages, archives and encourages a living Western Esoteric Tradition. If you would like to contribute to the Hermetic Library Reading Room, consider supporting the library or contact the librarian. This entry was posted in Hermetic Library Reading Room, The Libri of Aleister Crowley and tagged 1923, 666, abbey of thelema, aleister crowley, banished, beast, Book of the Law, books, candid glimpses, cefalu sicily, diaries, hermetic order of the golden dawn, i ching, introspection, major turning point, Reading Room, ritual magic, sexual magic, spiritual path, stephen skinner, tantra, thelemic magick, Tunisia, Weiser Books, yi king, yoga on September 3, 2013 by John Griogair Bell. The ceremony took place in the tabernacle, upon a wooden stage with a background painted to look like drapery. Strang sat upon a throne made of wood, covered in cloth and stuffed with moss. He held a wooden scepter and wore a bright red robe trimmed with white, perhaps looking a bit like Santa Claus. An entourage of men with various church titles surrounded him, like dukes, earls, and barons at a court.